Climate change is having significant impacts around the world and powerful weather events, often the result of climate change, have captured the public’s attention. But how is climate change impacting displacement of people? 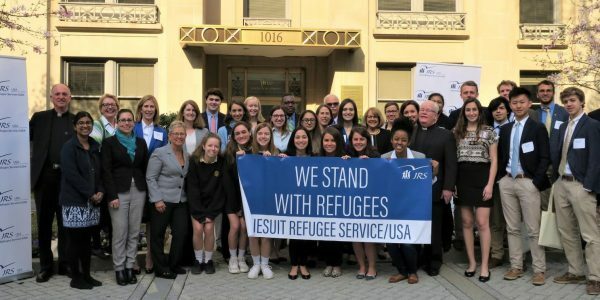 This Earth Day, JRS/USA and the Jesuit Conference Office of Justice and Ecology are answering your questions about climate change and displacement. 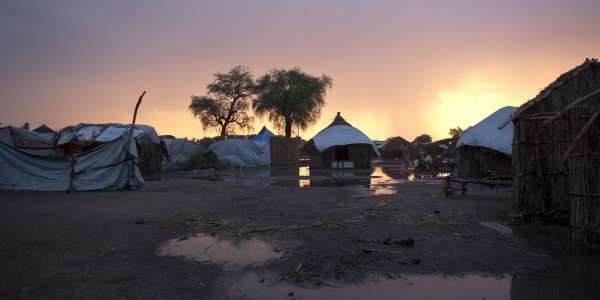 Read the wonderful reflection about the hope of Easter and hope for displaced people from our Endashaw Debrework, SJ, Regional Director for JRS Eastern Africa. 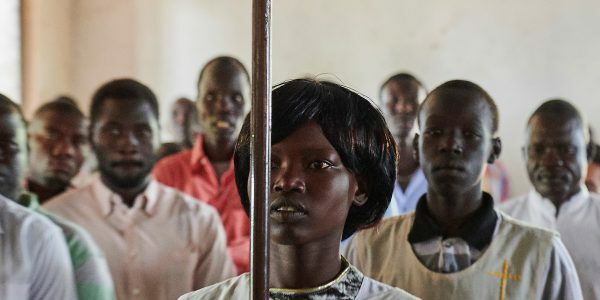 Matt Ippel, S.J., a Jesuit-in-Formation of the USA Midwest Province, reflects on the Psalm “Taste and see the goodness of the Lord”, as it relates to the work he’s currently doing in South Sudan during this Lenten season. You can show your support to these displaced mothers and the work they do around the world this Mother’s Day. Through our Any Refugee program, send a Mother’s Day Card of Hope and support to a refugee mother. Peter Devantara, S.J., Country Director of JRS Indonesia reflects on the parable of the good Samaritan and how it calls us to act towards ourselves and our neighbors during Lent. Read the wrap-up story from the JRS/USA April 2019 Advocacy Day on Capitol Hill. Lenten Reflection: What Would You Do? JRS/USA Executive Director reflects on the readings from the fourth Sunday in Lent, and asks us to put ourselves in refugees shoes. In January, a group of students and faculty from Regis High School attended a performance of The Jungle at St. Ann’s Warehouse in DUMBO, NYC. Read the reflection of high school senior Terence Coyne. Access to formal education can improve the well-being of refugees in camps, and significantly develops their skills and knowledge. The young girls in the Jesuit Refugee Service Kenya Safe Haven shelter are enthusiastic about their education, despite the harsh conditions in the camp. JRS/USA is a 501(c)(3) not-for-profit organization. Federal Tax ID 52-1355257.